David wakes up every morning feeling achy. His fingers, his knees, even his neck has been giving him problems. It’s been so long since he felt good that he hardly remembers what it’s like. Occasionally he washes down a couple Ibuprofen with his morning joe, only when it’s really bad, when it feels like needles stabbing him. But that’s only a couple days a week. Most days he can mostly manage the pain. No, scratch that. Most days he just decides to live with it. His wife and kids have noticed it, and they’d love for him to do something about it, but what? What will his doctor tell him beyond confirming that he has arthritis and he should keep taking Ibuprofen when the pain is too bad. David has something else going on. Arthritis is simply how it manifests itself. David’s problem is inflammation. That’s easy to say because inflammation is the cause of virtually every medical malady we face. Disease begins with inflammation. Pain starts with inflammation. We can talk about thyroid problems, or gastrointestinal trouble, but it all starts with some form of inflammation. Like David, many of us don’t know what a healthy body feels like because we have settled for living with our aches and pains. This is the reason The Wellness Way has what we refer to as our “Inflammation Talks.” Nothing clever or backhanded about it. 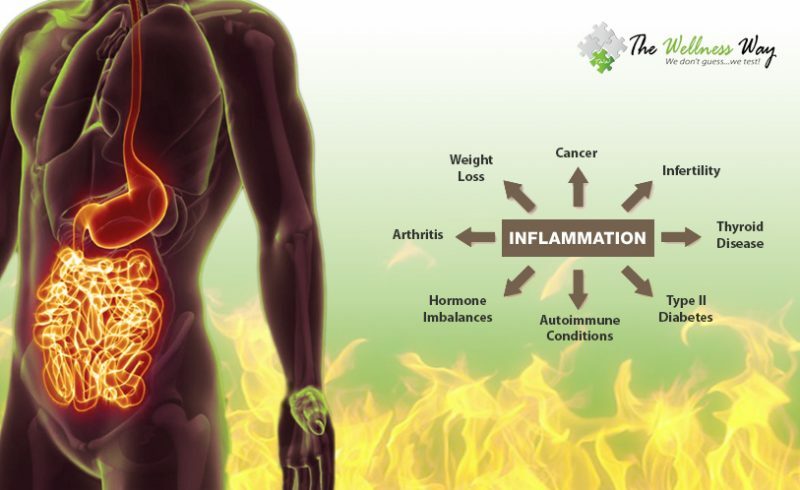 We talk about inflammation, and what health issues it can lead to. We invite you to come and find out a bit about the root causes of your health issues and, even better, meet our doctors and let them explain this important aspect of The Wellness Way doctrine. Find a Wellness Way clinic in your area and save your seat at their next Inflammation Talk. It may be a life-changing evening.